Energy sources that are not depleted when used or are naturally replenished within a human lifetime. Renewable energy is energy produced from sources that do not deplete or can be replenished within a human’s life time. The most common examples include wind, solar, geothermal, biomass, and hydropower. This is in contrast to non-renewable sources such as fossil fuels. Not all renewable energy sources rely on the sun. For example, geothermal energy utilizes the Earth’s internal heat, tidal energy relies on the gravitational pull of the moon, and hydropower relies on the flow of water. Renewable energy accounts for 13.5% of the world’s total energy supply, and 22% of the world's electricity  IEA FAQ http://www.iea.org/aboutus/faqs/renewableenergy/ IEA FAQ http://www.iea.org/aboutus/faqs/renewableenergy/ IEA FAQ http://www.iea.org/aboutus/faqs/renewableenergy/ IEA FAQ http://www.iea.org/aboutus/faqs/renewableenergy/ IEA FAQ http://www.iea.org/aboutus/faqs/renewableenergy/ IEA FAQ http://www.iea.org/aboutus/faqs/renewableenergy/ IEA FAQ http://www.iea.org/aboutus/faqs/renewableenergy/ IEA FAQ http://www.iea.org/aboutus/faqs/renewableenergy/ IEA FAQ http://www.iea.org/aboutus/faqs/renewableenergy/ IEA FAQ http://www.iea.org/aboutus/faqs/renewableenergy/ IEA FAQ http://www.iea.org/aboutus/faqs/renewableenergy/ . Renewable energy systems provide energy from sources that will never deplete. Renewable energy systems produce less greenhouse gas emissions than fossil fuel energy systems. While renewable energy systems are better for the environment and produce less emissions than conventional energy sources, many of these sources still face difficulties in being deployed at a large scale including, but not limited to, technological barriers, high start-up capital costs, and intermittency challenges Painuly, J. P. (2001). Barriers to renewable energy penetration; a framework for analysis. Retrieved from http://www.sciencedirect.com/science/article/pii/S0960148100001865 Painuly, J. P. (2001). Barriers to renewable energy penetration; a framework for analysis. Retrieved from http://www.sciencedirect.com/science/article/pii/S0960148100001865 Painuly, J. P. (2001). Barriers to renewable energy penetration; a framework for analysis. Retrieved from http://www.sciencedirect.com/science/article/pii/S0960148100001865 Painuly, J. P. (2001). Barriers to renewable energy penetration; a framework for analysis. Retrieved from http://www.sciencedirect.com/science/article/pii/S0960148100001865 Painuly, J. P. (2001). Barriers to renewable energy penetration; a framework for analysis. Retrieved from http://www.sciencedirect.com/science/article/pii/S0960148100001865 Painuly, J. P. (2001). Barriers to renewable energy penetration; a framework for analysis. Retrieved from http://www.sciencedirect.com/science/article/pii/S0960148100001865 Painuly, J. P. (2001). Barriers to renewable energy penetration; a framework for analysis. Retrieved from http://www.sciencedirect.com/science/article/pii/S0960148100001865 Painuly, J. P. (2001). Barriers to renewable energy penetration; a framework for analysis. Retrieved from http://www.sciencedirect.com/science/article/pii/S0960148100001865 Painuly, J. P. (2001). Barriers to renewable energy penetration; a framework for analysis. Retrieved from http://www.sciencedirect.com/science/article/pii/S0960148100001865 Painuly, J. P. (2001). Barriers to renewable energy penetration; a framework for analysis. Retrieved from http://www.sciencedirect.com/science/article/pii/S0960148100001865 Painuly, J. P. (2001). Barriers to renewable energy penetration; a framework for analysis. Retrieved from http://www.sciencedirect.com/science/article/pii/S0960148100001865 Painuly, J. P. (2001). Barriers to renewable energy penetration; a framework for analysis. Retrieved from http://www.sciencedirect.com/science/article/pii/S0960148100001865 . It is important to note that the terms ‘renewable energy’, ‘green energy’ and ‘clean energy’ are not interchangeable in all cases; for example, a ‘clean’ coal plant is simply a coal plant with emissions reduction technology. The coal plant itself is still not a ‘renewable energy’ source. ‘Green energy’ is a subset of renewable energy, which boasts low or zero emissions and low environmental impacts to systems such as land and water United States Environmental Protection Agency (2014). Green Power Defined. Retrieved from http://www.epa.gov/greenpower/gpmarket/ United States Environmental Protection Agency (2014). Green Power Defined. Retrieved from http://www.epa.gov/greenpower/gpmarket/ United States Environmental Protection Agency (2014). Green Power Defined. Retrieved from http://www.epa.gov/greenpower/gpmarket/ United States Environmental Protection Agency (2014). Green Power Defined. Retrieved from http://www.epa.gov/greenpower/gpmarket/ United States Environmental Protection Agency (2014). Green Power Defined. Retrieved from http://www.epa.gov/greenpower/gpmarket/ United States Environmental Protection Agency (2014). Green Power Defined. Retrieved from http://www.epa.gov/greenpower/gpmarket/ United States Environmental Protection Agency (2014). Green Power Defined. Retrieved from http://www.epa.gov/greenpower/gpmarket/ United States Environmental Protection Agency (2014). Green Power Defined. Retrieved from http://www.epa.gov/greenpower/gpmarket/ United States Environmental Protection Agency (2014). Green Power Defined. Retrieved from http://www.epa.gov/greenpower/gpmarket/ United States Environmental Protection Agency (2014). Green Power Defined. Retrieved from http://www.epa.gov/greenpower/gpmarket/ United States Environmental Protection Agency (2014). Green Power Defined. Retrieved from http://www.epa.gov/greenpower/gpmarket/ United States Environmental Protection Agency (2014). Green Power Defined. Retrieved from http://www.epa.gov/greenpower/gpmarket/ . On Tuesday, May 19th, Student Energy will be speaking at the UN’s prestigious SE4ALL Forum in New York City. This is the second year that Student Energy has been invited to participate in this prestigious forum and we will be hosting a dynamic panel session called “Rising Tide: Harnessing the Power of Youth”. 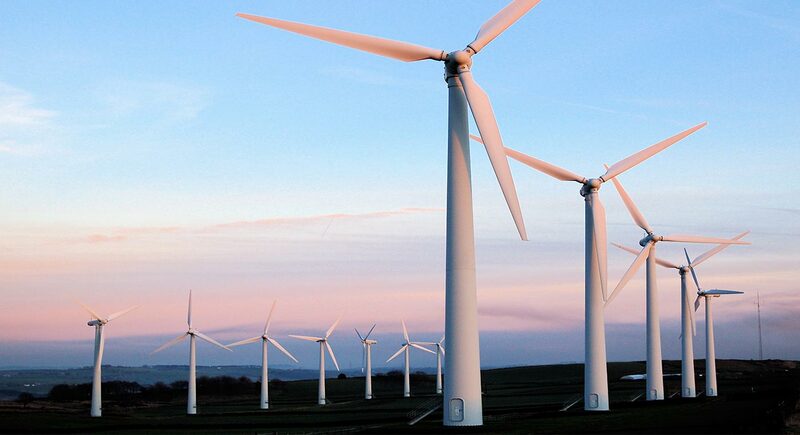 Wind Energy refers to technology that converts the air’s motion into mechanical energy usually for electricity production.